The Earobics CDs are well-known and excellently reviewed by both parents and professionals who use the program with their students. Earobics teaches the phonological awareness and auditory processing skills that are critical for learning how to read, speak and spell. Both Earobics Step 1 and Earobics Step 2 deliver interactive games over hundreds of levels to deliver extensive training and practice. The software automatically adjusts to the appropriate skill level of the user based on the correctness of the responses. Both levels accommodate tracking and data collection for 2 players and one guest. 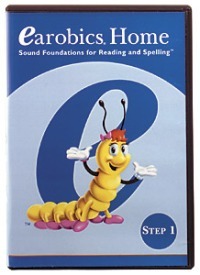 Earobics Step 1 is recommended for children at a cognitive level of 4-7; Earobics Step 2 is recommended for ages 7-11. This week only, save 15% on the Earobics Software by entering the Promo Code BLOGEA12 at checkout. *Offer expires on May 29, 2012 at 11:59 pm EST. Not compatible with any other offer. Be sure there are no spaces after the Promo Code when you enter it at checkout. Written by: Different Roads to Learning on May 22, 2012. This entry was posted in autistic spectrum disorder, Difflearn Promo Code, Pick of the Week, Sale, Speech & Language and tagged Applied Behavior Analysis, Auditory Processing Skills, autism education, language development, learning, teaching tools by Different Roads to Learning. Bookmark the permalink.